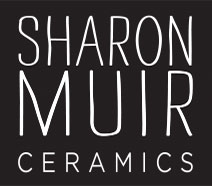 THANK YOU FOR SHOPPING AT SHARON MUIR CERAMICS. CURRENCY & TAXES: All Prices are in Australian dollars. I am not registered for GST and no GST is charged on goods sold. PAYMENTS: Payments are processed securely by PayPal. PayPal accept all major credit cards. I do not have access to any of your card details. INTERNATIONAL ORDERS: Yes I can ship internationally. Please contact me for a shipping quote. ORDER PROCESSING: I aim to ship all orders within 3-4 business days after full payment is received. Items are shipped from Brisbane, Australia via Australia Post. Please allow additional time for your order to reach you. BACKORDERS/SOLD OUT GOODS: Every attempt is made to keep stock in the online store up to date if you order an item that is unexpectedly out of stock you will be contacted and offered a replacement, backorder or refund. HANDMADE GOODS: All pieces are skilfully made by me in my Brisbane studio. Minor variations are evidence of the handmade process and should be expected. I DO NOT sell any pieces in the online sore that I consider a second or faulty. DAMAGES: All items are carefully inspected and packaged for shipping. Please contact me within 48 hours via email for replacement of any goods damaged while in transit. Please include images of the damaged goods and packing as this may be required for a claim. QUESTIONS: If you have any further questions please do not hesitate to contact me via the contact page.